Each year the Government of Canada offers doctoral research scholarships in the natural sciences, mathematics and engineering fields for international students. International students except Canada can apply for these scholarships. Doctoral research scholarships program for foreign students (DE) aimed at foreign students who had been preselected by a Québec university and who wish to carry out their doctoral studies in the natural sciences, mathematics and engineering fields. Course Level: Scholarships are available for pursuing doctoral studies at Québec University. Scholarship Award: The FRQNT board of directors reserves the right to modify the value of scholarships at any time, without notice, notably in accordance with the credits annually allocated by the Assemblée nationale du Québec, its strategic priorities and budgetary process.The maximum annual value of the doctoral research scholarship for international students is 21 000 $. Within the eligibility period of twelve semesters or 48 months, a scholarship holder may receive a maximum of twelve installments for a total of 84 000 $. Each payment of up to 7 000 $ covers a period of four months or one semester. The 11th and 12th installments are conditional on the initial deposit of the thesis before the end of the 12th financed semester. Eligible Countries: International students except from Canada can apply for these scholarships. Have been preselected by a Québec university. 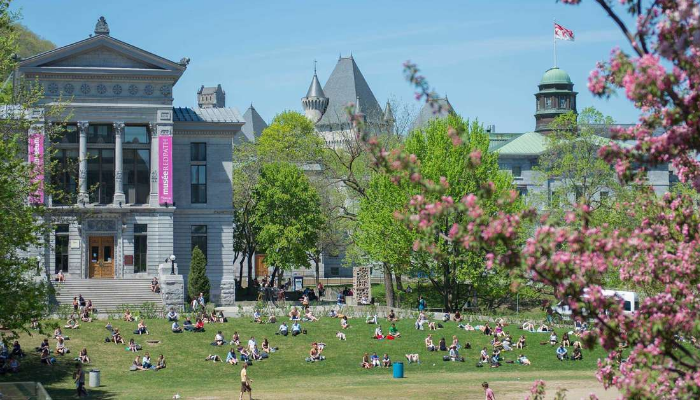 Not have obtained a Merit Scholarship for Foreign Students from the Ministère de l’Education et de l’Enseignement supérieur du Québec (MEES) or from one of the Fonds de recherche du Québec. Not be a Canadian citizen or a permanent resident of Canada. Preselected applicants will have to create an account in the FRQnet website. The FRQNT will then communicate with all of the preselected candidates so they can fill out an electronic form in the FRQnet system. Applicants may consult the document: Instructions for completing an application in the Toolbox. Only the 2019-2020 competition e-forms and other required documents will be accepted. Any appendices or documents other than those required will not be transmitted to the evaluation committee. The e-forms are only available in the secure section of the FRQnet website of the Fonds. These forms must be filled out and submitted electronically by the competition deadline. Applicants will not be able to update their applications after the competition deadline. It is recommended that applicants keep a hard copy of the e-form for their personal files. Important : Applications that do not include all required information will be deemed ineligible by the FRQNT. Two letters of reference from referees should be transmitted to the program manager. To allow the referee to complete the reference letter, the candidate must enter the referee’s account information in the FRQnet form. The referee will then have access to the letter through his Portfolio in the “As a referee” section. The documents listed below must be attached to the electronic form in the section « Other documents » of the form. The student must ensure that the documents are not protected by a password. Documents submitted in a language other than French or English must be accompanied by a translation of the original. A copy of transcripts for every year of the applicant’s university studies, whether they were completed or not (certificate, diploma, bachelor’s, master’s, doctoral, etc.). If applicable, an attestation from the registrar listing any unregistered or part-time semesters. For the parental leave exception, a copy of the child’s birth certificate or an official document demonstrating the adoption. The candidate must send the electronic form to the FRQNT before the competition deadline. In December, applicants will be informed by email of the receipt of their application. The candidate who has not received this notice should contact the program manager before December 15th.